any good advice on were to find resto 93-96 olds 98 parts? 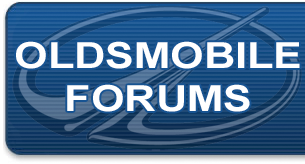 Oldsmobile Forum: any good advice on were to find resto 93-96 olds 98 parts? You are doing the right thing. Just know your 1996 shares parts with: 1994-1996 Ninety Eight, Eighty Eight 1994-1999, Regency 1997-1998, and Regency was the Eighty Eight with the Ninety Eight parts( grille, wheels, seats, and interior parts. There are so parts that were shared with 1991-1993 Ninety Eight, but know too GM changed plugs and connectors too. On my 1995 Oldsmobile Ninety Eight the climate control plug in the back was different. I had to find one on Ebay that shared the same plug. Also note the Ninety Eight shared parts with Buick Park Avenue, and Buick LeSabre and Pontiac Bonneville and Cadillac Deville and Fleetwood. My 1992 Oldsmobile Toronado and 1995 Oldsmobile Ninety Eight share some parts. Your Ninety Eight is OBD II. You are telling the truth about the sun destroying the interiors. I have to redo my seats because they are leather and the sun and Hurricane Harvey finished them off along with a mechanic who had something bulging from his pockets. I found the GM cloth online they used. I am planning to switch from leather to that luxury GM cloth. I also found the weatherstripping that goes into the doors. I have to dye it to match. SEM or Classic Dye matches pretty well.